The UAE’s unmanned spacecraft to Mars will be launched during a tight window between July 14 to August 3, 2020, the Mohammed bin Rashid Space Centre (MBRSC) has announced. The spacecraft, called Hope, has to be launched during that short time frame as there cannot be any unwanted interstellar conditions or objects interfering with the probe’s seven-month long journey to Mars. If the dates are missed, it could be another two to two and half-year wait for another launch opportunity. It will take off from the Tanegashima Space Centre in Japan. The launch date aims to coincide with the 50th anniversary of the UAE. The UAE’s mission to Mars, which falls under MBRSC’s Emirates Mars Mission programme (EMM), aims to study what caused water on the red planet to disappear in efforts to learn more about Earth’s past and future. The spacecraft is currently undergoing an “intense testing phase” as the manufacturing stage has already been completed. Space agencies around the world are set to explore the red planet, while Elon Musk has even grander plans. The AED 500 million-City will cover 1.9 million square feet, making it the largest space stimulation city ever built and will provide a viable and realistic model to simulate living on the surface of Mars. The project, which was unveiled at the annual meetings for the UAE government in Abu Dhabi on Tuesday, encompasses laboratories for food, energy and water, as well as agricultural testing and studies about food security in the future. The science city will also boast a museum that displays humanity’s greatest space achievements, including educational areas meant to engage young citizens with space, and inspire in them a passion for exploration and discovery. The walls of the museum will be 3D printed, using sand from the Emirati desert. Different religions will need to dig deep into their theology to tackle the dilemmas their astronauts will face. Islamic theology is well-suited to support space travel, exploration and habitation. After all, the Quran includes the verse: “All praise belongs to God, Lord of the Worlds.” In addition, the Quran dangles the challenge for humanity to cut through the boundaries of inner space and reach other planets and galaxies. It employs imagery that hints at rockets and space travel – but only with Divine permission. If it’s true that within the next century humanity will be living on Mars, you might want to build a mosque. Experts are already designing homes that can be 3D printed once people arrive on Mars, to save on transportation. I can envisage 3D printed mosques with rotating prayer spaces that constantly adjust themselves to remain pointed at Makkah. The most fascinating questions will be ethical ones about interactions with other life forms. What’s the right etiquette when you meet a Martian? Could they have a religion? Could you marry one? Just a little over a year since the UAE announced its Mars mission, interest in space science has started gathering momentum among younger Emiratis. With the Mohammad Bin Rashid Space Centre (MBRSC) starting development of its third satellite — KhalifaSat, due for launch in 2018 — the interest will only grow. His Highness Shaikh Mohammad Bin Rashid Al Maktoum, Vice-President and Prime Minister of the UAE and Ruler of Dubai, announced last year that the UAE would send the first Arab probe to Mars to create mankind’s first integrated model of the Martian atmosphere. To be launched in July 2020, the unmanned probe called Al Amal (Arabic for hope) will go an approximately 200-day journey. It is expected to enter Mars’ orbit in the first quarter of 2021, in time for the UAE’s 50th National Day. Over the next five years, Mars will no longer be just another planet for the UAE. The Red Planet will be an integral part of every household, making the Emirates Mars Mission every UAE resident’s affair. His Highness Shaikh Mohammad Bin Rashid Al Maktoum, Vice-President and Prime Minister of the UAE and Ruler of Dubai, announced in May that the UAE would send the first Arab probe to Mars to create mankind’s first integrated model of the Martian atmosphere. The unmanned probe will be launched in July 2020 just before the UAE’s 49th anniversary. Following an approximately 200-day journey, the probe is expected to enter Mars’ orbit in the first quarter of 2021 in time for the UAE’s 50th founding anniversary. Five years before the 2020 launch, the team behind the mission said everything is on track. The UAE’s Mars mission probe will be carrying the hopes of the country and the region, so it is only appropriate that Hope is its name, Sheikh Mohammed bin Rashid said on Wednesday. In Arabic, it is called Al Amal. 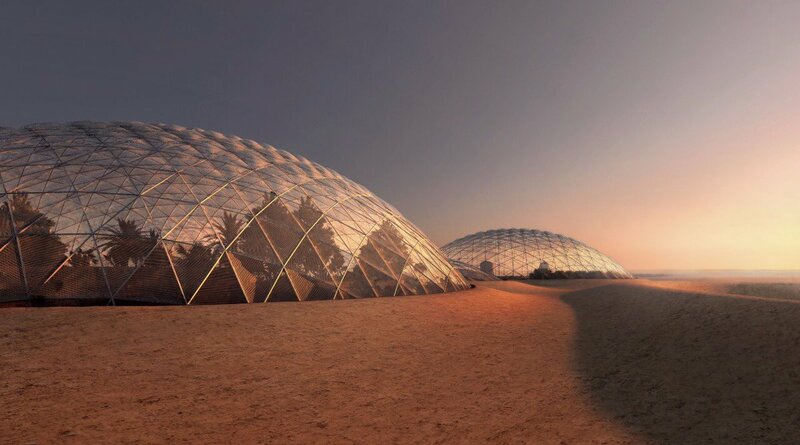 With 75 Emirati scientists and engineers taking part in the project, the UAE is preparing to become the first Arab country to send a mission to another planet. “The mission will send three important messages,” Sheikh Mohammed said. “The first is for the world: that Arab civilisation once played a great role in contributing to human knowledge and will play that role again. “The second is to our Arab brethren: that nothing is impossible and that we can compete with the greatest of nations in the race for knowledge.